Diablo III is unprecedented, which is an odd thing to say about a sequel to anything. But it is: an action RPG with the post-release support of an MMO. That means it’s warped into a substantially better game since it was first, briefly finished two summers ago – and even now, after its wildly successful Reaper of Souls expansion, the game grows. 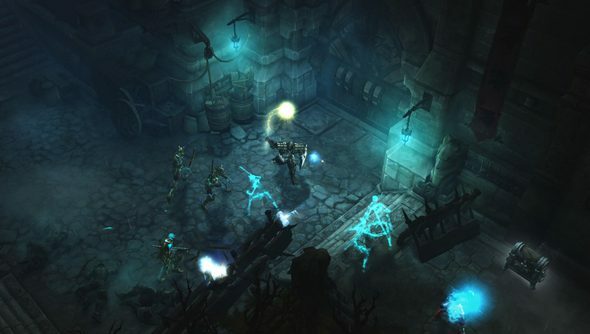 Over the course of a seven-minute video, Blizzard rummage through the new junk in Diablo III’s trunk. The headline feature of Reaper of Souls 2.1 is the new Diablo III Seasons system. Modelled on Diablo II’s ladders, Seasons will see players voluntarily return to level 1 and compete with the rest of the community for leaderboard fame and unique legendaries. The first begins this Friday, and the launch times are staggered by region. If you enjoy playing games with friends, check out ourten best co-op PC gamesfor more. Season-specific challenges come in the form of Conquests. Blizzard might reward the first 1000 players to complete Acts I to V in an hour or less, for example, and plonk their names on another leaderboard. Seasonal legendaries will start appearing in normal loot pools once a Season is done. Elsewhere in 2.1, Blizzard have added a new Cesspool level type to the list of potential Rift environments. Have you been hopping into any of those Nephawotsit Rifts lately?